Time is precious, but there are many benefits of holding a multi-day conference. Here are 3 reasons why you should invest your time in organising/attending a multi-day conference for your company. Research shows that the people who attend conferences attend for one of two reasons (or even both), educational opportunities and networking. Networking and making connections with people to then build relationships with them takes time. Typically, on a one-day conference full of traditional presentation sessions, the opportunities attendees will have to meet each other would be at lunch and a couple of short refreshment breaks. That is very little time to network. Adding the dinner, evening social, and breakfast of a single overnight stay doubles, at a minimum, the time for connection available for a one-day event. Academics may argue to whether the reasons are biological or cultural, but few people would disagree that we are all programmed to bond over communal meals. By adding just an extra half day to your one-day conference will add an extra refreshment break, perhaps an evening social with snacks, dinner, breakfast and lunch. That’s a lot more opportunity to bond. Providing an overnight stay during a conference facilitates the processing of experiences from the days’ events. Although we all appreciate time to consciously process our experience, there’s growing evidence that short-term memories are turned into lasting long-term memories during sleep. The Greek Club is the perfect venue for just this. 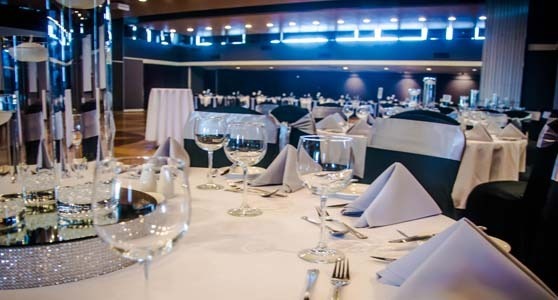 Right in the heart of South Brisbane, The Greek Club is the perfect corporate functions venue with rooms catering anywhere from 10-700 people. South Brisbane has plenty of accommodation options surrounding the area, with the centralised venue being perfect. Click here to take a look at our different corporate packages on offer, or give us a call on 3844 1166 for more information.